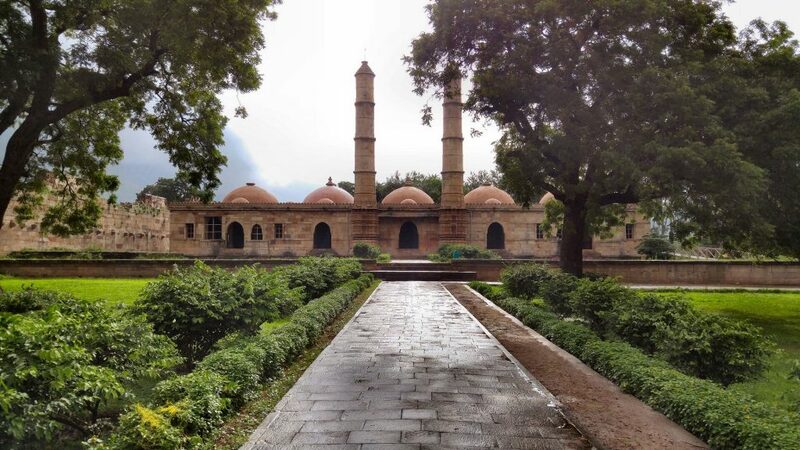 Champaner flourished as the vibrant capital of Pavagadh under the aegis of Chauhan Rajputs during the late 1400s. Replete with the ruins of a fortress, numerous mosques, temples, tombs, and stepwells, the area is a historical feast and is a must visit. It was declared as a UNESCO World Heritage site in 2004 – the first and only one in the state of Gujarat. The monuments here are a unique fusion of Hindu and Islamic architecture. 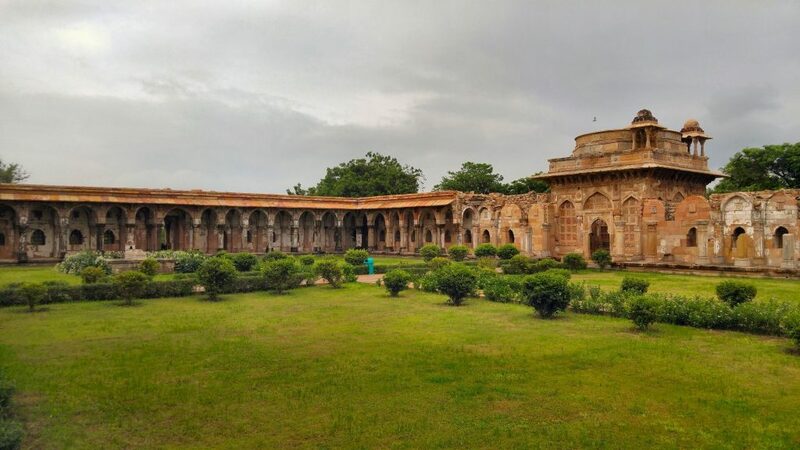 What makes Champaner worth visiting? Gujarat has more than 500 stepwells few of which were constructed way back in 600 AD. Located on the Halol – Pavagadh road, it’s the only helical stepwell in Gujarat probably built during the 16th century AD. A picturesque garden surrounds the quirky structure. 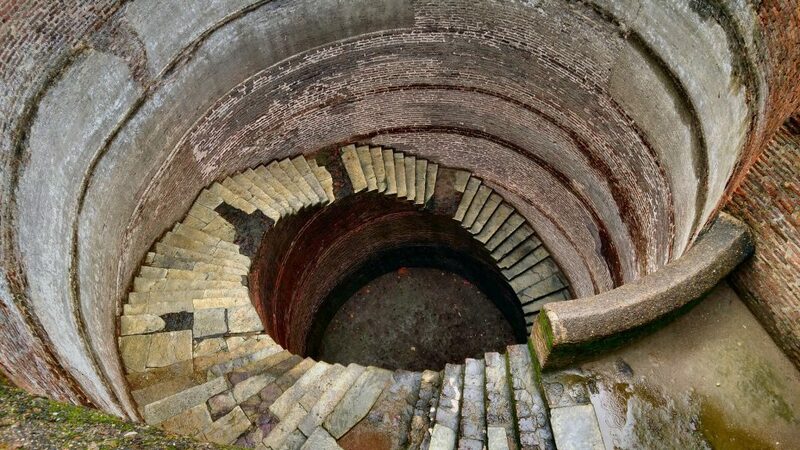 The spiral staircase winds down the 50 feet well. With no scientific reason to support such style, the reason for such weird architecture can only be attributed to the recreative musing of the builder. With the Pavagadh hill serving as a backdrop, it is the perfect start to the exploration of the historical area. The city of Champaner was built by a renowned king of Chawda dynasty – Vanraj Chavda. 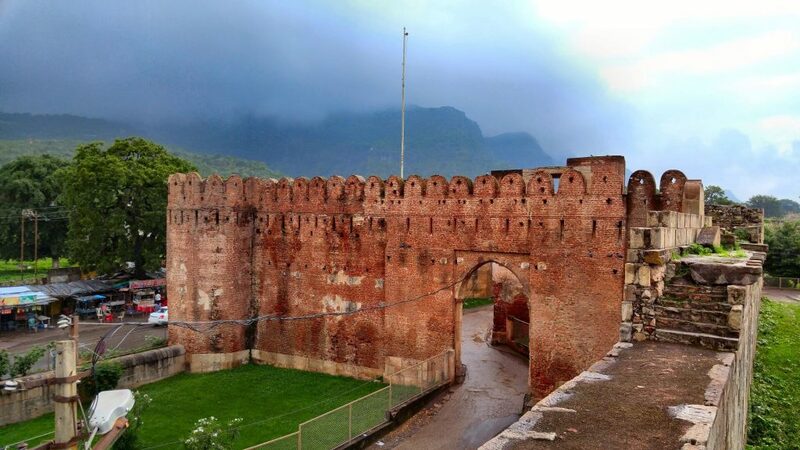 Constructed during the 8th century AD, the majestic high walls of the crumbling citadel are a testament to the glorious days of the city during the 14th century under the rule of Khichi Rajputs. 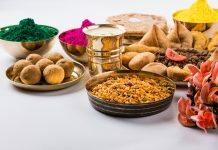 It is said that the city prospered under their rule until it was invaded by Mohamud Begada (grandson of erstwhile Sultan of Delhi, Mohammed Shah who built Ahmedabad). He captured the city of Champaner after a 20 months’ long battle with the incumbent ruler Raval Jaisingh in the mid-15th century. This explains the presence of various mosques built during this period in a city which was a Hindu kingdom for 650 years. Champaner was raided by Mughal King Humayun in 1535 AD and the incumbent ruler fled to Ahmedabad abandoning the city of Champaner. A visit by British archaeologists to this area led to its discovery after more than 300 years. This monument served as a private mosque and was earmarked for visits by members of the royal family. Built during the 16th century, the central arched entrance is flanked by two beautiful minarets on either side. Five large domes on top of the mosque impart a unique view from the front. Declared a World Heritage monument, Jami Masjid is considered to be one of the finest mosques of Gujarat. Dating back to 1508, it is another befitting example of Indo-Islamic architecture. The mosque is raised on a high plinth and can be accessed through three imposing porches on north, south and east. Two towering minars (30m) are on either side of the central entrance. The northern section of the prayer hall is separated by a delicately carved perforated screen which served as the section of royal ladies. Another remarkable structure on its premises is the huge octagonal ablution tank probably built for visiting pilgrims. Situated at the far end of the archaeological park, these structures are not in the league of their illustrious counterparts. However, their unique cenotaphs make them a must-visit place. Though the one at Kevda is built in Roman style, the other one at Nagina is much more impressive. Standing at 50 feet, the artwork here is considered to be one of the finest in Islamic architecture. With openings on all four sides, the walls, columns and niches are delicately carved with floral and geometrical designs. The volcanic hill of Pavagadh forms the other part of the vast 3280 acres Champaner-Pavagarh archaeological park. Part of the Southern Aravalli range, the hill is characterized by steep rock formations, dense vegetation and reddish-orange boulders. On the western side of the crumbled Pavagarh fort lies Saat Kaman (Seven Arcs). Its uncanny architecture with trapezium shaped stones locked with the technique of pestle-mortar joint is intriguing. Historians are unable to determine the use of such structures and why they were built. Probably built in the early 15th century, it has only 5 arcs remaining now. A visit to this place provides an aerial view of the entire town of Champaner surrounded by lush green valleys and hills. 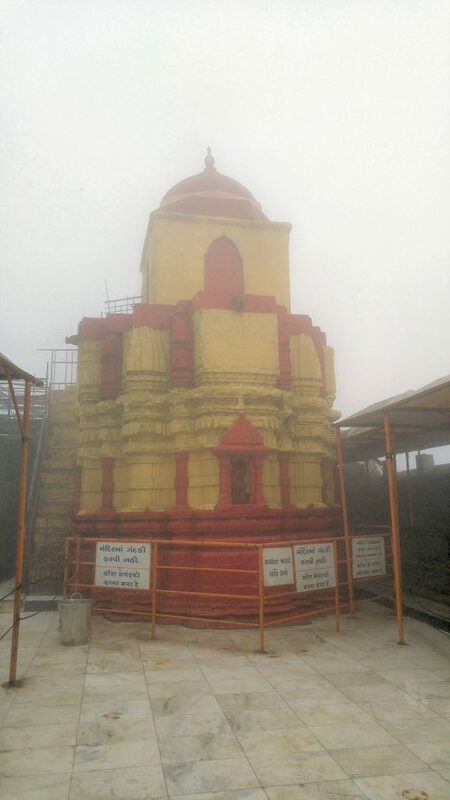 Perched on the top of Pavagadh Hill is the venerable Kalika Mata Temple. 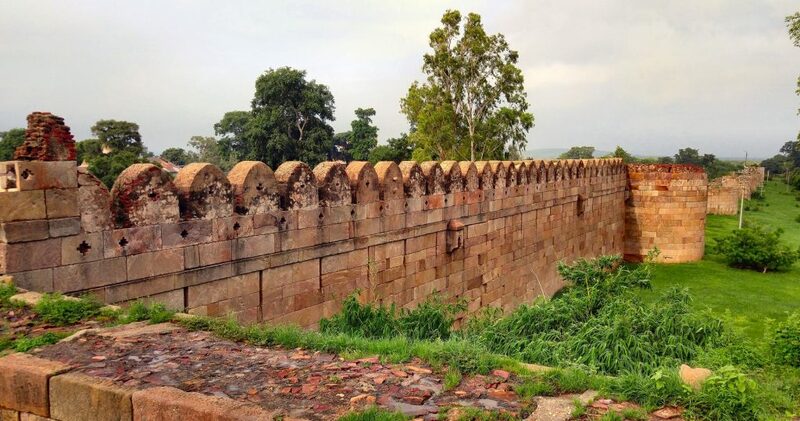 Dating back to 10th-11th century AD, it is regarded as one of the 51 Shakti Peeths in India. It was a revered shrine during the rule of the Rajput Chauhans. It can be reached via a short cable car ride and an additional climb of 250 stairs. 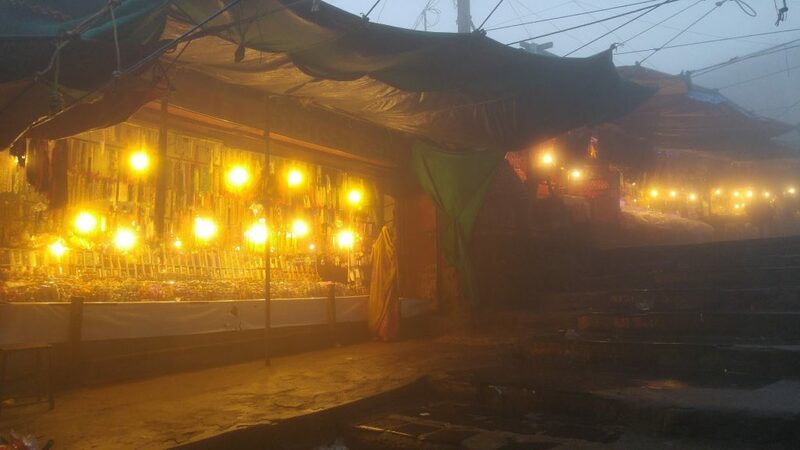 Shops selling flowers, food, souvenirs and all kinds of religious paraphernalia on either side of the climb provide the perfect religious ambience. The hill receives thousands of visitors during religious Hindu festivals. The coexistence of two religions over the centuries makes this area unique. 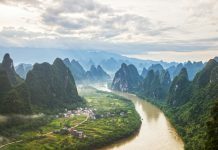 Scarred with frequent confrontations, the landscape is scattered with ruins of ancient forts, castle gates, stepped wells, cenotaphs, arches, pillars, mosques and temples. A visit to this historical offbeat heritage centre is sure to leave an indelible impression. How to Reach: Champaner is a 3-hour drive from Ahmedabad and should be done as a day trip. Best time to visit Champaner: July to February. During monsoons, inclement weather might halt cable car operations intermittently. Must Buy: Small steel finger rings are considered to be sacred and are available in almost all the souvenir shops. It is said that these should only be bought in pairs. Must Try: The cable car service is open from 6 A.M to 6 P.M. The short but steep 6 minutes ride from one summit to another is exhilarating.